Two views of Sylvester Stallone's broken neck in x-rays. Yo, Here's Sly Stallone's Broken Neck. Sylvester Stallone, the actor/writer that starred in the Rocky and Rambo movies, revealed that during a scene with wrestling star Stone Cold Steve Austin in "The Expendables" he ended up breaking his neck. “I had to have a very serious operation afterwards. 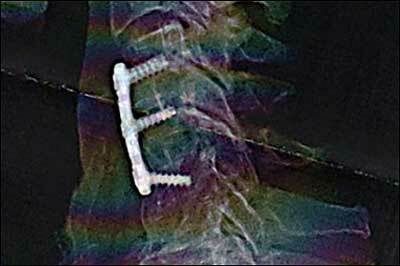 I now have a metal plate in my neck," Stallone said. At the time, many critics thought Stallone was exaggerating trying to create some buzz for his film but an x-ray released proved the accusations wrong. The x-ray presents a metal plate against the neck held in place by six screws. Stallone emailed the StalloneZone website with a note which read: "For the doubters and the haters, a picture is worth a thousand words. You walk the walk, you pay the price," he wrote. "As bad as it was, at least we have it on film. The reason I was never seen in a neck brace is because I stayed at home for three weeks to heal." The veteran action hero had emergency surgery after the scene filmed for the movie and a metal plate was inserted in his neck following the accident. Stallone said he stayed at home for three weeks following the injury, which is why he wasn't ever pictured wearing a neck brace. Stallone told FHM magazine, “They got out of bed at 5.30am just to shoot a small five-minute scene.” It was then that Austin and Stallon did something to cause the trauma. 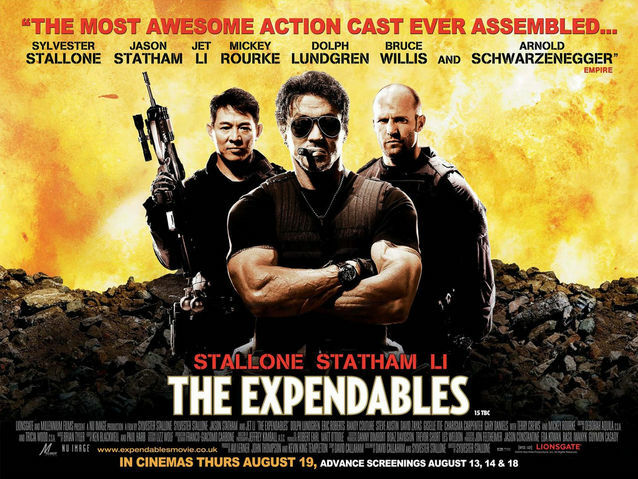 Stallone, who wrote the script and directed the movie, said testosterone was flowing during filming. It is not the first time the actor has been hurt during filming. He was also badly hurt by Dolph Lundgren when he filmed Rocky IV. Stallone was quoted about that incident as saying, 'Dolph and I always went for it. I gave him orders to try to knock me out while the cameras were rolling. At one point, he hit me so hard on the head I felt my spine compress. He then hit me with an almighty uppercut. Afterwards, he would comment again to StalloneZone, "I've just had my throat operated on. I had to have my neck fused. 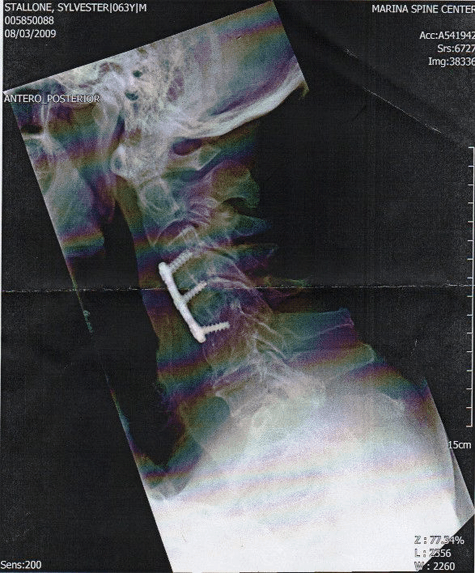 There are three screws in my spinal cord - I had to have a cadaver bone put in my neck! I had my leg operated on too. I had my whole calf pulled up. That was brutal. That hurt. And I need both rotator cuffs done in three weeks. It's a b***h."
"For the doubters and the haters, a picture is worth a thousand words. You walk the walk, you pay a price. But, as bad as it was at least we have it on film. P.S. To the haters, I don’t need to invent pain, there’s enough of it out there to go around. P.S.S. The reason I was never seen in a neck brace is because I stayed home for three weeks to heal. P.S.S.S. Van Damme may mean a great deal to some of you, but what he’s putting forth is not truthful." Celebrity x-rays and other famous medical documents pop up all the time online and in auctions. The authenticity of the ones shown here are not verified beyond what has been listed and/or sourced online.